RANGE ROVER SPORT 2010 - 2013 O.E.M. QUALITY FRONT PARKING SENSOR WIRING LOOM. RANGE ROVER SPORT 2010 - 2013. PART NUMBER. RANGE ROVER SPORT 2010 - 2013 O.E.M. 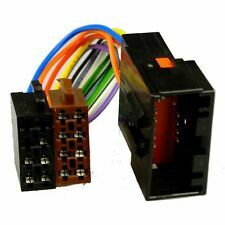 QUALITY REAR BUMPER PARKING SENSOR WIRING LOOM. RANGE ROVER SPORT 2010 - 2013. PART NUMBER. Body Electrics. Prop Shafts, Bearings & Joints. Land Rover Discovery 3, 4 5, Range Rover & Sport Alloy Wheel Nut x20 - LR068126. First established in 1974 RST Landrovers are one of East Anglia's leading independent Land Rover specialists. Blower motor resistor module. 99/04 WJ/WG Grand Cherokee. 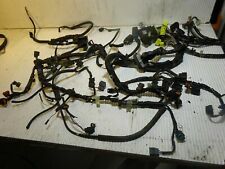 Repair wiring harness. Brand: Crown Automotive Sales Co.
Celsus ISO Lead Non Amplified System to fit Land Rover Freelander 2 Mk.2 2003-2010. To Fit: Land Rover Freelander 2 Mk.2 2003-2010. Part: ISO Lead Non Amplified System. This eliminates re-wiring and uses a plug & play connection converting the standard vehicle plug to the universal ISO block. RST Online are trusted suppliers of Britpart, Bearmach, Allmakes, Durite, DDS and genuine Land Rover parts. Independant Land Rover Specialist Since 1974. Electrical & Split Charging. Wind Deflectors. 1 x 4 pin relay 12 volts 30amp. Kit Contents. Cash on collection where you have selected to do so. AB31 > AB38, AB40 > AB56, FK18 > FK19, HS1 > HS9, IM1 > IM99, IV1 > IV63, KA27 & KA28, KW1 > KW17, PA20 > PA88, PH4 > PH50, TR21 > TR25, ZE, BT, GY, JE. 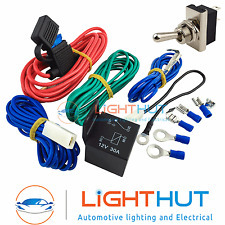 GRAYSTON AUXILIARY WIRING KIT FOR WIRING HORNS/LIGHTS ETC. Very flexible and suitable for tidying up and protecting electrical wiring and looms. Plastic electrical connection block for connecting wires together. Sold Separately. 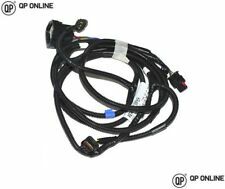 This headlight wiring loom can be used for all models of VW`s including Beetles, Splitscreen and Baywindow Buses, Karmann Ghia`s and the Type 3 Variants including Notchback, Fastback and Squareback models. Plastic electrical connection block for connecting two wires together. Sold Separately. Part Number CNK10A. AGU Fuse Holder w/ 80A fuse. 1M - 4AWG Silver CCA Ground cable. 5M - 4AWG Blue CCA Power cable. 10M - 1.5mm Blue CCA Speaker cable. 5M - Blue RCA cable. 5M - Remote cable. 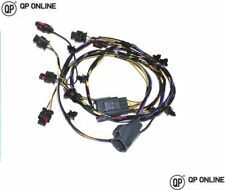 HONDA INTEGRA TYPE R DC2 DB8 OBD2A ENGINE WIRING LOOM FOR 96-01 Jdm and uk integras, ideal for civic eg swaps. Condition is Used. Dispatched with Royal Mail 1st Class. To Fit: Land Rover Freelander 2 Mk.2 2003-2010. Part: ISO Lead Non Amplified System. This eliminates re-wiring and uses a plug & play connection converting the standard vehicle plug to the universal ISO block. Grayston 30amp auxillary lighting and wiring kit, suited for use when adding additional spotlamp wiring circuits or other 30amp relay controlled components. Kit Contents ---1 x 4 pin relay 12 volts 30amp ---2 metres red cable fitted with inline blade fuse holder and 15amp fuse ---1.5 metres blue cable fitted with a 6.3mm insulated piggy back terminal ---2 metres blue cable fitted with a 6.3mm female insulated terminal ---24cm black cable fitted with female insulated terminal and a ring terminal ---2 metres green cable fitted with 6.3mm female terminal.